Hennigan, Kerry. “MJ Studies Today IX (14-9-16).” The Journal of Michael Jackson Academic Studies 3, no. 1 (2016). http://michaeljacksonstudies.org/mj-studies-today-ix-14-9-16/. When we look at the impact of Michael Jackson on popular culture, we begin to see the many ways fans have of expressing their appreciation of, and love for him. Some dress like him and attempt to impersonate him – with varying degrees of success. The musically talented write and perform personal tributes and make videos of their efforts. Some organize notices in newspapers or floral tributes for major dates on the annual MJ calendar, specifically the 25th June, Michael’s birthday and Christmas. Some visit locations with a connection to Michael – and there are many of these all around the world. Many of us do a little of all these things – even if it’s just wearing a black sequined jacket a la ‘Billie Jean’ or a fedora to a special MJ-related event, contributing some money towards a floral tribute to be placed on his tomb at Forest Lawn, or making the trip to Los Angeles to visit his burial place in person. Other fans have used the internet and social media to provide forums where we can read articles about Michael and discuss issues of concern about anything that is happening in the world of MJ. Some fans have run advocacy campaigns to defend Michael and his legacy when a new media-fueled scandal erupts (as it usually does – around the 25th June or his birthday). These fans have done tremendous work in making information available to a broader audience via the internet. This information includes court transcripts, detailed timelines and legal documents. 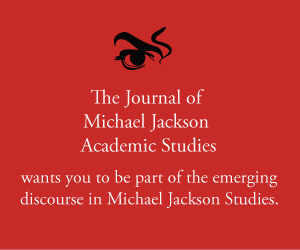 And, of course, we should not forget the evolution of MJ studies, including our own Journal of Michael Jackson Academic Studies. While some valuable work has already been done, there remains enormous potential for dedicated educators to facilitate broader re-evaluation and appreciation of Michael’s life and art. My personal favourite MJ tributes are the legitimate projects run by some individuals and groups of fans who organize charitable fundraising in Michael’s memory. For these fans the words of “Man in the Mirror”, “Heal the World”, “Earth Song” and other songs provide a mantra for encouraging collaborative actions to help others while honoring Michael Jackson’s humanitarian legacy. All of the aforementioned are aspects of the phenomenon of Michael Jackson fandom. This is what Michael Jackson inspires us to do. This is how he has impacted our lives; and our lives have changed – quite considerably, in some cases – because of him. The really amazing thing about this phenomenon is that it is globally inclusive – a reflection of Michael’s popularity well beyond the borders of his own country. For example, last June tribute events were organised in places as culturally and geographically diverse as Rio and Moscow. Asia, the Middle East, Europe, Africa, Australasia and the Americas all boast active clusters of MJ fandom. In my travels I’ve been fortunate to have visited some of these locations, met some of the fans, and made lasting friendships. These friendships have provided first-hand insights into countries and lifestyles quite different from my own. If viewed in the context of cultural anthropology, these experiences have been the equivalent of field studies. However, in my case, any academic benefits have been purely incidental. Primarily the intention for many of us is to indulge in and share our love for Michael Jackson, and also to heed his call to act for a better world for all Earth’s inhabitants. The relevance here for academia is that the many ways we (the fans) find to heed Michael’s message are, in themselves, worthy of study.